A home is a big investment and after you make you selection the bills for maintenance and creating a comfortable environment is just beginning. The choice you make can be rewarding or punishing. A good energy inspection before you close can help you understand what repairs are needed and how to better maintain your new home. Reviewing previous utility bills are a little more difficult to help you determine how energy efficient the home is with your lifestyle. The current homeowner could work all day and not use any heating or cooling during the day or like their house hotter or cooler than you may like it. You may have children that go in and out numerous times to the pool or even leave the doors open for long periods of time. 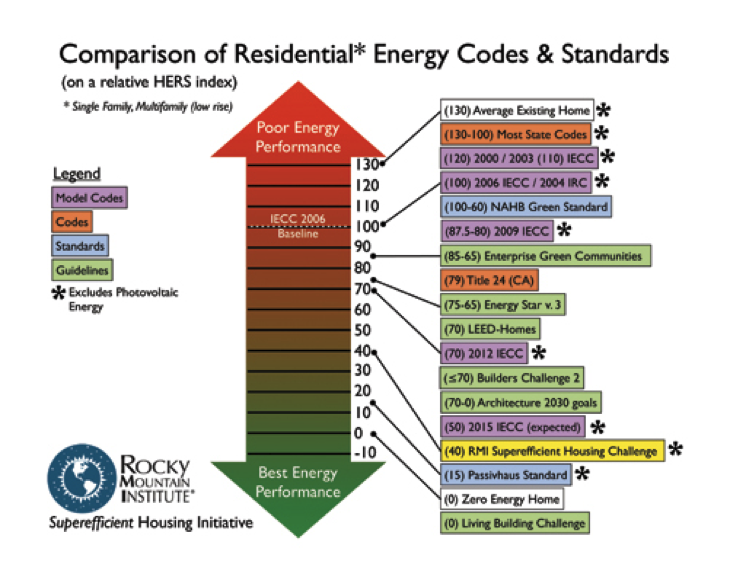 The challenges are finding a common standard that you can use to measure how energy efficient a house really is and then adapt a lifestyle to utilize the strengths of the house. Residential houses are built to a specific building code that was adopted by the city when the house was constructed. Building codes evolved and building techniques changes to incorporate new technologies. Home energy efficiency is established when the house is built and it is difficult to improve after the construction stage. You can add more attic insulation or a new air conditioning system, but you can’t change the wall insulation. It is difficult to even tell what improvements can make a cost effective return on your investment. Building science has improved to the point where software simulations can adequately create a digital profile of the house that allows evaluations of all the different systems and components that make a house energy efficient. The Home Energy Rating System (HERS) was developed to create a standard that can be used much like a Mile Per Gallon (MPG) rating is used for cars. The HERS rating coupled with the use of a high resolution infrared camera allows professionals to see and better understand the various energy components that make up a home and help us understand where changes can be made to make cost effective improvements to the house. Comparing different building codes and construction techniques give an imperfect understanding about what components are difficult to improve. You can see from the graphic below that there has been a continuous improvement in energy efficiency over the years. The HERS rating gives us the ability to equate different changes over the years and see what areas can be improved as part of an energy inspection. The Infrared Camera allows us to see what can not be seen with the visible eye. Thus was born the Enhanced Energy Scan. A HERS rating records the insulation values of foundations, walls, attic, windows, orientation of the house as well as the efficiency of the HVAC units, ducting, water heater and other appliances to give measure to all the energy components of the house. A HERS rating also uses a Blower Door to depressurize the house so it can be determined how tight the building envelope is to air infiltration. Air that leaks into and out of the house has to be heated, cooled and dehumidified. A Duct Blaster is used to determine how tight the HVAC ducting is because up to 25% of all the conditioned air may be lost to the attic. All these values go into computing the HERS rating for a particular house. The lower the HERS score the more energy efficient the house. How does your house rate?